This is English Harmony, and it’s all about improving your SPOKEN English, right? And there’s no better way – as a matter of fact, it’s the ONLY way! – of improving your spoken English than engaging in heavy spoken English practicing. I’ve been receiving a lot of questions in relation to this topic. I mean – specifically about PRACTICING spoken English. What to do when there’s no-one else available to practice with? And what to do when I don’t know what to talk about? If you’ve got no-one else to chat with, you can do it all by yourself – just narrate your thoughts and if you don’t know what to talk about, the best topic is to describe what you’ve been doing during the day and what your plans are for the following day. And in case you’re skeptical about this approach – read this article to find out why speaking with yourself isn’t so dissimilar to speaking with other people! There’s one aspect of spoken English practicing, however, that I haven’t touched upon on my blog yet, namely – READING ALOUD. Come to think of it, I actually do it all the time. You see, when I write my blog posts, I always read them out loud while editing them, so I personally don’t need to set aside any time to do it purposefully. All I have to do on top of that is some actual spoken English practicing to keep my fluency sharp, and HERE you can see how I do it while driving to work, for example. Reading Aloud is the IDEAL Way of Practicing If You’re Just Starting Out! When I do some spoken English practice, I’m very comfortable doing it – and so are other foreign English speakers who’ve been engaging in similar activities for a while. What if you’ve rarely had the chance to open your mouth and you just can’t produce coherent speech no matter how hard you try? Well, let me try to remember how I did it, I mean – how I started engaging in spoken English practice… To be honest with you, it was so long ago, that I can’t actually remember much! I have a vague recollection of me lying in a bed at night and trying to speak in English with myself to see how good I would be at it – it must have been more than 10 years ago at this stage. But anyway – if you want to do it but you don’t’ know where to start then READING ALOUD IS THE IDEAL WAY of kick-starting your spoken English practicing routine! Think about WHAT you’re going to say – you can focus on pronouncing the words and sentences instead! Think about the CORRECTNESS of your speech – you can focus on getting the intonation right and making the speech flow! So, you don’t have to do it in bed at night – you can do it out in the open! 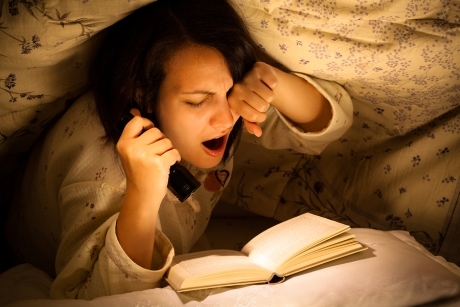 Reading Aloud Guides Your Mouth in the Right Direction! Have you ever thought about the fact that you can learn English quite fast if you MIMIC native English speakers? Here’s why it’s very effective – you don’t have to create English speech from scratch by sticking words together! You can repeat sentences and phrases that are used by others – it’s the perfect shortcut, don’t you agree? Now, hands down the best way of mimicking is when you can HEAR someone else say something and then you repeat it. Watching a TV program or a video and repeating what the character says would be a good example of that – it’s also a great method of acquiring native-like pronunciation. Using the English Harmony System would be another example of you listening to how a native English speaker speaks and then you repeat after them. When you read aloud, you can’t really hear how those sentences and words are pronounced, so that’s a drawback. Just think about it – someone else has done all the work for you by writing it all down, and all you have to do is open your mouth and train it to speak by repeating THE SAME EXACT sentences that some other English speaker has created! Basically you allow your mouth be guided by the text, and in my opinion it just doesn’t get better than that! There’s only one thing you absolutely have to make sure of. You have to UNDERSTAND what you read and it has to be written in an easy-to-read manner. Don’t fall victim to the pitfall of choosing some sophisticated English text you can barely understand thinking that it somehow is going to improve your English in a short space of time. In reality, quite the opposite is going to happen – you’re going to get confused and eventually you’ll end up HATING the very concept of reading aloud! Just like I said – what you want is something that flows nicely when reading. But in case you’re one of those perfectionists with very high standards – please watch this video where I’m talking about the fact that you have to lower them to stand a chance of achieving oral English fluency. On the finishing note, let me tell you that you don’t have to go with some specific material created with the purpose of reading practice in mind. The KEY is probably to read out loud something you’re actually INTERESTED in, something that excites you! And now it’s your turn to write something in the comments section below. Let me know if you’ve ever been doing loud reading practice, and also let me know if you have any specific tips on it that other English Harmony readers might find useful! Thanks Robby. I can’t tell you how much I appreciate your help. I visited your website by chance and found it very useful. I read this article aloud. It was the first article I’ve ever read aloud in English. I believe that it ‘s very effective not only on speaking but also on pronunciation. I never thought that reading aloud in English could actually improve my English fluency and speaking skills. I look forward to this improvement as I start doing it everyday. Thanks Robby. I believe in my heart, it will be a great help! 😀 Godspeed! Then do the following exercise http://englishharmony.com/dictation/ and then read it out loud based on the initial audio – that way you’ll know how to pronounce words! I am wondering, what level does this tips can be considered as an effective exercise. As a beginner I don’t know how to pronounce the words. Thanks so much Vinay, I really appreciate your positive feedback! I am lucky to find this blog which made me know the secret behind improvising English. Robby please keep up the good job. you are helping most of the needy alike me in getting rid of the hurdles that come in their way. Very brilliant and equipping article. Thank you so much I have learnt an awful lot today. Every bit of question that I had at the back of my mind was addressed. I just regret that I never thought about oral reading to improve my fluency. Although I am very good at reading and writing in English, I cant say the same when it comes to speaking it. And now that I come to think about it, its probably because I never had anyone around me to communicate with, and when i do communicate its probably at school where it can be a bit embarrassing to stutter and stumble and on my words all the time. So thanks a lot for this work of art that you wrote above. Thanks so much for your positive feedback, I’m glad you enjoy my website, and you’re welcome to stick around for more videos and articles to come! Splendid article! 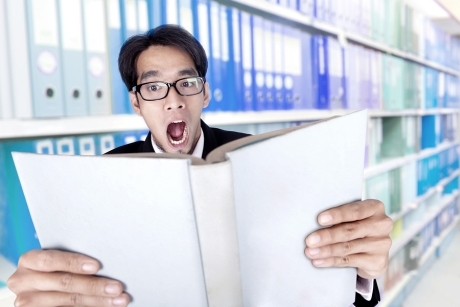 Reading out loud is like doing stretches before exercising, it could reduce the stiffness of your mouth. It’s definitely more beneficial to shadow the same program many times over so that those expressions and phrases get “wired” into your mouth. I’m watching Breaking Bad for the sixth time, for instance, and at this stage I can almost predict what’s going to be said at certain moments which is great – I can say it out loud without any thinking whatsoever! Thanks Robby, those are good articles!! I’ve got a question about shadowing. Do you think I should shadow the same TV program or movie many times until I am very familiar with the expressions and languages they use, or should I shadow as many different TV programs or movies as possible? Which way is more effective in building my fluency? Appreciate it. You are really helpling me in improving my spoken English by your tips. Otherwise, what I usually do to prectice English, and what I did when I arrived in France to improve my French, was and is to listen the radio and repeat speaking out loud all I listen, even if there are words I don’t understand. Such exersice help me to improve the intonation and the accent. Little to little one can enriche his vocabulary understanding words by the context. I’m deeply convinced that to lern foreign languages is, for a big part, one exersice of imitation: We speak as people we listen to speak, in the same way that children usually use the same words of their parents, or students the same words of their favorite teachers, friends or tv stars. Robby, I can’t wait to read it! There are a lot of internet articles on dictation but also a lot of confusion and arguing among the so called “experts”. We trust your option because you were a language learner yourself and know what it is like. Well, to be totally honest with you Jerry, it’s a concept I’ve never even thought of! I can immediately see a number of benefits of such a practice: you learn to write in a native-like fashion right “from the source” and you’re also forced to learn proper spelling which is something a lot of foreign English learners struggle with. Hi Robby, my understanding of dictation is when you hear something spoken in the target language, I.e., either live or a recording, then you write down what you heard. Thanks for your help. Hi Jerry, do you mind explaining a little bit what you actually mean by saying “dictation” in this particular context? 1) “It don’t help to much to establish good connection between your brain and your mouth” – yes, but it’s a great exercise to help you make the TRANSITION into independent speaking! That’s the whole point!!! To remove this drawback I try to read aloud mainly audiobooks or such articles for which I have audio files (from your blog for example; thanks a lot, Robby). So I am able to know how it should sounds right everything I read. Of course, reading out loud is very useful practice,but I have to say it don’t help to much to establish good connection between your brain and your mouth what we need for ” independent speaking”. I notice sometimes that I can read aloud pretty well even almost without thinking about what I am reading, automatically. Sorry, but I cannot get rid of feeling that something grammatically incorrect here. Thanks so much Jerry, I’m really glad you find this article useful! To tell you the truth, reading out loud was the missing link providing those people who find it hard to practice spoken English on their own with a really actionable solution. Keep up the good work! Hi Robby, this is one of your best articles! I really enjoyed it! I am stuck in the listen only mode! After reading this article, I am really going to make the effort to read aloud! Well, the solution is to do it many times over! First of all pay attention to pronunciation and intonation, and then when you’re getting better at it – start to embrace the actual meaning of the content. Eventually try to avert your eyes from the written piece and try to retell the story – that’s the ultimate goal! Thanks for the comment Tatjana, and keep up the good work! That’s a good way I am ongoing for a period. And your article encourages me to do that. I read the online new aloud and found my tongue not as struggled as the past. My focus when I do that is on pronunciation and intonation. That’s enough. But a drawback is that I seem to ignore the meaning or sentence construction or good phrases when reading out aloud, because I have to keep my speech flow and have no time to pause for these things. Hi PRobby, I absolutely agree with you. Reading english texts aloud and shadow /mimic english speach for practising pronunciation is very usefull. I do it often and I can really see result. Thank you for your blog.